• Stretched beyond your comfort zone in order to grow and get results. • Started your own company – or climbed the corporate ladder. • Changed lives for the better with your coaching, service or leadership. But you know this is just the beginning. There is so much more you’re capable of – and you’re ready to claim it. • Feeling energized + inspired every single day – no compromises! And you can have it. Yes, ALL of it! Working harder instead of working smarter. Thinking everyone else is doing it better than you, so why bother? Unconscious patterns that prevent you from getting what you want. Holding yourself (and others) to an impossible standard. Sitting alone at your computer, without the right coach + community to support you. Too much focus on goals + metrics. Not listening to your inner wisdom. Can you relate to any of these? It’s tough to look at, I know. But what got you here isn’t going to get you where you want to go. The good news is, there’s an easier way to move through what’s keeping you stuck. That’s why you’re on this page. You’re ready to get the structure, support and inspiration you need to shatter your own personal “glass ceiling” – and step into the life you’ve always imagined. I created this leadership program to support brilliant women like you to breakthrough anything getting in the way of you making great money + sharing your gifts with the world at the level you know you’re capable of. No more waiting. This is a call to rise. 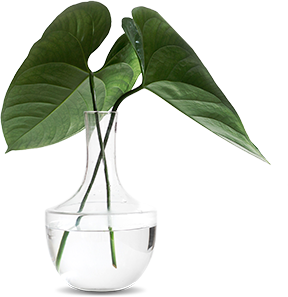 Getting crystal clear on your vision – with an action plan that feels both doable AND exciting. Putting systems in place to support you in growth and simplify, not adding more to your plate! Facing your biggest obstacles and overcoming them – so they NEVER hold you back again. Embracing self-care as a necessity (not a luxury!)... doing more of what fills your cup, so you can give to others from a place of overflow. Being part of a community of women who truly see, support + celebrate you, while also holding you accountable to your greatness. Expanding your leadership (or coaching skills) through training and observation of me supporting other powerful women in the program. Making a quantum leap in your income + impact… and having FUN doing it! This program is about awakening the wisdom that is already within you – and supporting you in stepping more fully into your power and potential. I’m selecting a group of success-minded, soulful + supportive women who are ready to make a quantum leap in their business and leadership. This program is by application only – and space is limited! I’m a big believer in the power of in-person experiences to help you gain clarity, breakthrough blocks, and make friends and business connections to last a lifetime. But how often do you come home from an event feeling inspired… only to fall back into your old habits in a matter of days or weeks? 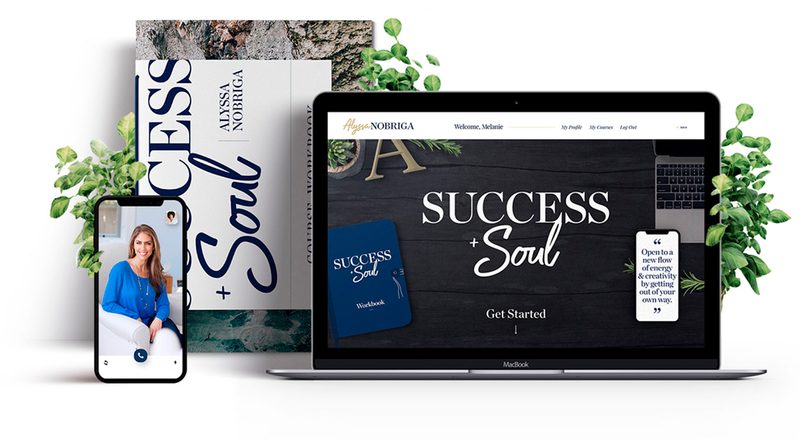 The Success + Soul Mastermind brings you the best of both worlds – live events, plus online resources and coaching – to help you create rapid results AND feel supported every step of the way. The program begins with an inspiring weekend retreat, where you’ll clarify a specific project or focus for our 6 months together. This should be a BIG project that has a lot of heart and meaning for you – whether it be starting a company, changing careers or growing to your level of impact and leadership in the world. 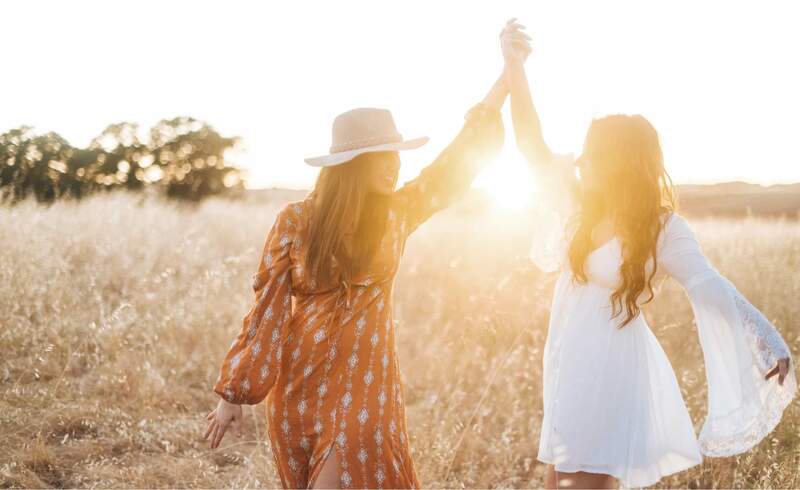 Through the support of myself and other truly amazing women, we’ll break down your vision into manageable action steps, so you can achieve what authentic success means for you… and have fun doing it! Mid-way through the program, we’ll meet up again for more masterminding, strategy sessions, transformational exercises to support your expansion. We’ll assess what’s working and what’s not working so far, and help you break through any defeating stories or upper limits that are getting in the way of the results you want. You’ll walk away from this retreat feeling clear, confident, connected, and ready to take inspired action towards creating your goals and dreams. The mastermind concludes with a half-day live retreat – where we’ll celebrate your successes, recap your learnings and outline next steps to support you in keeping the momentum going in your business and set you up for what’s next! Intimate Group Coaching Calls with me every other week are the cornerstone of the mastermind. I’m coaching you doing Hot Seats to on whatever you need most, whether it be on strategy or transformational work so you get that personalized coaching support as well. You’ll be part of a smaller Mastermind Circle – a curated group of women who match where you are and offer deeper connection, strategy support and inspiration throughout the 6 months. You’ll meet monthly virtually (or in person) and have an additional monthly report to help keep you focused and accountable on your goals. These are all set up for you already so you can just show up and dive in! Monthly “Get It Done” Sessions to help you focus on that goal that will move your business forward the most – but that you’ve been having resistance to doing. We’re in this together and will make it FUN so you show up fully to create what you want. It’s a virtual date to co-work until you get it done! This program is so much more than the sum of its parts… You’re going to walk away with clarity, strategies and RESULTS that will have a ripple effect on every area of your life for years to come. Once you break through whatever is holding you back in business, you’ll be astonished at how your relationships, health and overall quality of life improve too. Not to mention your new community of heart-centered badass businesswomen all around the world! 3 Weekend Retreats in Los Angeles, CA February 23-24, 2019, May 18-19, 2019 + August 17, 2019. 11 Group Coaching Calls with Alyssa. 90 minutes of group coaching every other week through 6 months. A mix of transforming your mindset + setting up strategies to reach your financial goals with grace. A small curated group of powerhouse women that meet monthly for additional accountability + support. Work virtually with others while you cross “that thing” you’ve been avoiding off your list! Biz training videos + resources to support you getting to your “next level” professionally. Transformational processes + guided meditations to help you move through blocks 24/7 so you stay clear and in action. Get support from your new community + questions answered from Alyssa throughout the 6 months. Share your biggest wins + set up what’s next after 6 powerful months together. To help you stay engaged and create results beyond what you thought possible. With training videos and other practical resources to support you to get to your “next level” professionally, as well as a place to network with other women in the program. This is a great place to get support and encouragement from amazing women whenever you need it. I’ll also be in there offering Facebook Live Coaching Calls and answering questions regularly so you feel even more supported. Offers custom transformational processes and guided meditations to help you move through challenges anytime they arise, this is here for you 24/7, and will help bring you back to your truth, so you feel radiant, light and inspired to keep moving forward in action. Click the button below to schedule your no-obligation application call. “I’ve quadrupled my income and enjoyed life so much more. Success + Soul is a 6-month mastermind program, launches with an inspiring weekend retreat in Los Angeles, February 23-24, 2019. Our second in-person retreat will take place in LA May 18-19, 2019, and the program concludes with a half-day Live Retreat on August 17th, 2019. The best way to start is by applying and then we can set up a no obligation call so I can get to know you, your business and see what will support your goals best. With applying, there’s absolutely no pressure to join. In fact, if I feel you would be better served elsewhere, I will tell you! I’m already so busy! Won’t this just add more to my plate? This mastermind is NOT about creating more work for you. In fact, most women who go through my programs free up more of their time and energy, by creating systems and strategies that help them work smarter – not harder! If you’re ready to grow your income + impact, without constantly teetering on the edge of burnout, let’s talk. There’s an easier way, and I’m here to help you discover it. My career / business is unique. How do I know this will help me? This is not a cookie-cutter curriculum designed for a particular industry. It’s an intimate mastermind designed to help you break free of limiting beliefs that are holding you back – while developing clarity, confidence + leadership skills you can apply in every area of your life. It’s about supporting you to get to your next level of mastery and success… whatever that means to YOU. You’ll be supported every step of the way with coaching from me, encouragement and inspiration from your fellow participants, and powerful resources you can draw upon as needed to help you reach your business + leadership goals. Yes. All calls are recorded and will be available in your private membership site. I can’t make it to one of the retreats, but I still really want to participate! I highly recommend coming to both retreats if you can, however, exceptions may be made on a case-by-case basis. If you want to join us, but have a conflict with one of the retreat dates, please reach out to team@alyssanobriga.com. Will I get support from Alyssa? Absolutely! This is a very hands-on program and I will be coaching and providing support every step of the way. In addition to our live retreats, you’ll have intimate group coaching calls with me every other week to help you stay on track throughout the program. I’m also very active in the Facebook group, answering questions and recording videos or FB Lives to offer additional insights and support. With every purchase you make, we donate a portion of it to help fund a project through Charity Water. Charity Water has already run more than 28,000 water projects and helped more than 8 million people. Learn more in the video below. COPYRIGHT © 2018 ALYSSA NOBRIGA. ALL RIGHTS RESERVED. SITE BY THEY.